Diesel in Daytona – The Daytona 500 Qualifiers Are Here! Can you smell the grease on the asphalt? Feel the smoky winds whipping through your hair? Are you ready to watch excessive speeds and a dozen spin-outs? And no, we’re not talking about Guy Fieri’s latest television show — the Daytona 500 qualifying round is back! On February 17, catch your favorite NASCAR Sprint Cup Series racers as they careen around Lake Lloyd — those banked turns aren’t anything to mess with — for a shot at the big show, the crème de la crème, the most prestigious race in NASCAR: the Daytona 500 Sprint Cup, taking place on the same track on February 24. Winners of this mega-race include all your favorites from past and present: Richard Petty, Mario Andretti, Bobby Allison, Dale Jarrett, Jimmie Johnson, and more. Who will be the next to rise, well, race, to history? Since its opening in 1959, Daytona International Speedway has hosted this esteemed race. With an 180-acre infield (including the lake, which is 29 acres itself), this speedway has the best seats in racing — 90% of the venue can be seen from any seat. Now that’s good planning! The tri-oval course (used for this race) is 2.5 miles of pure speed. Though the track has undergone a variety of improvements in its history, in January 2013, the Speedway announced plans to overhaul and renovate the venue, adding five new entrances, a second pedestrian bridge, and thousands of new seats in an expanded grandstand. 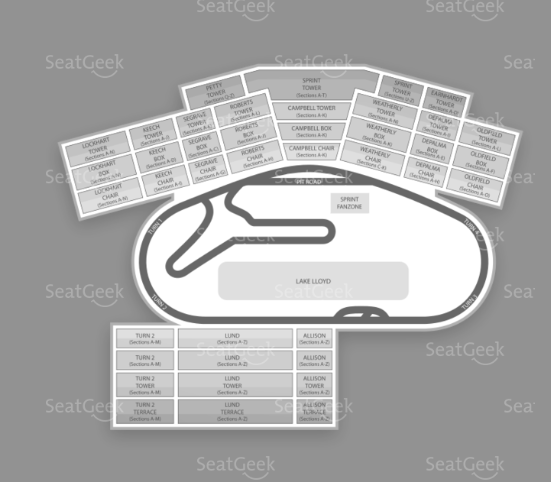 Also included in the plans are more concession areas, ticket gates, and plenty of room to see the racing. Interested in tickets for other Daytona 500 events? Be sure to click around here!